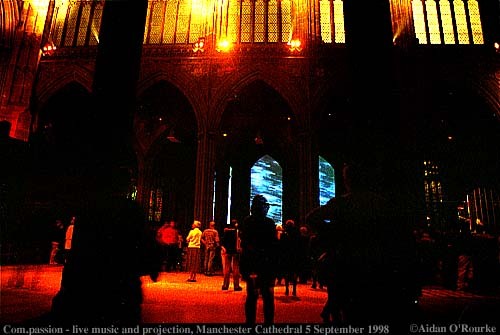 In the darkened interior of Manchester's ancient cathedral church, the eerie and other-worldly sounds of contemporary voice and synthesiser were heard by a quiet and contemplative audience. 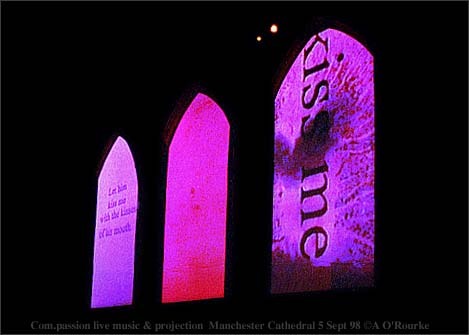 Simultaneously, three sets of video images were projected onto church window-shaped screens. The performance took place on the 4th 5th and 6th of September.